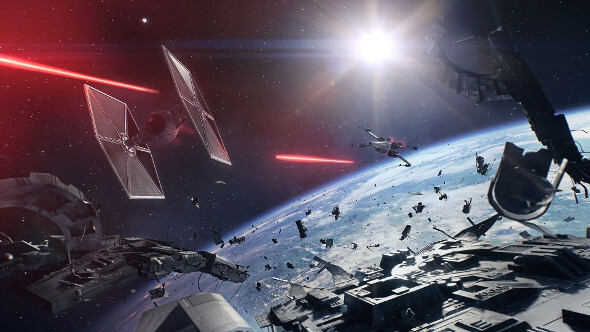 If YouTube views are an indicator of popularity, then Star Wars Battlefront II was the most popular game at E3 this year, surprisingly. By quite a wide margin. Mosey on over here for all of PCGamesN’s E3 2017 coverage. I say surprisingly only because this has been a banner year for E3. There’s been an abundance of impressive-looking titles across all platforms, and some flashy trailers and demos to boot. So for a sequel to a not-exactly-celebrated shooter to do so well is unusual. Then again, it is Star Wars, and it does look rather good. At the time of YouTube’s analysis, Battlefront II was up to nearly 8.7 million views, and that’s only with the first trailer and doesn’t include any other videos. It’s now over nine million. Second place was Super Mario Odyssey, with 5.5 million – so yeah, a pretty big gap. Not only was the the trailer the most viewed, the game was generally the most viewed title of the show, with YouTube gathering numbers from every video related to the game, from trailers to media coverage. What was your personal favourite?